Naval personnel attached to the North Central Naval Command held an Indian national in Urumalei area, Talaimannar yesterday. 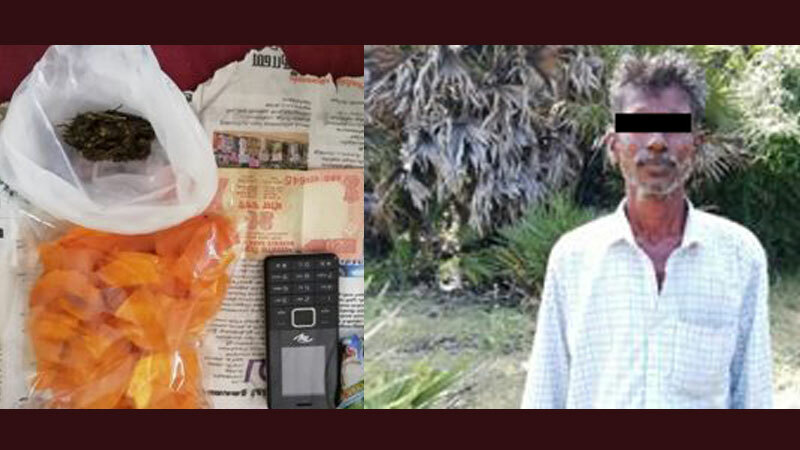 Further, 1200mg of Kerala cannabis, a mobile phone, 02 SIM cards, 03 passport size photographs, 20 Indian rupees and 200 Sri Lankan rupees have also been found in his possession. The apprehended person along with his belongings was handed over to the Talaimannar, Police for onward legal action.